a music show broadcast out of Hollywood and hosted by Andy Mansfield. Much of Old Time radio centered around music...vocally and instruments. That held true with programs like America’s Popular Music. The show broadcast out of Hollywood and hosted by Andy Mansfield. As the title suggested...and dictated...the program was an ensemble of dedications towards some of the big names of the early days. 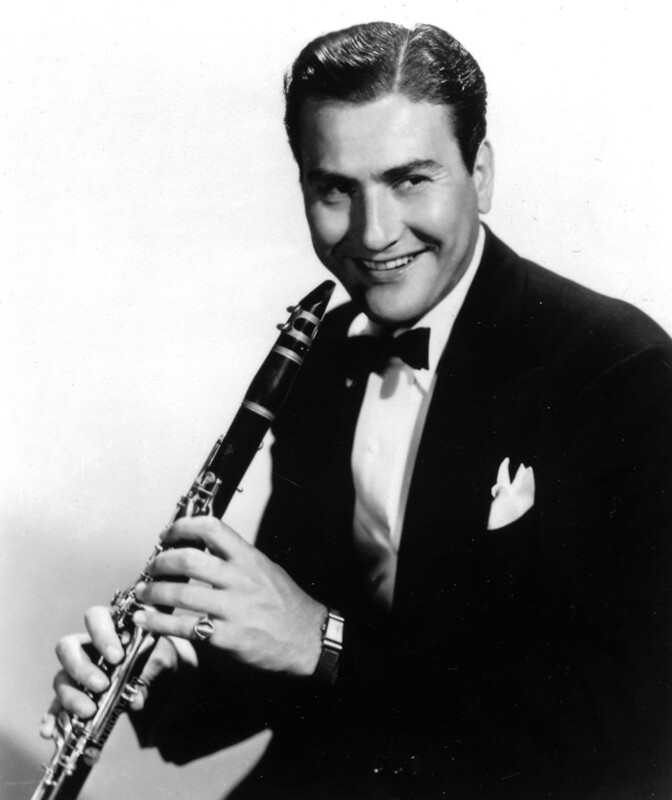 Count Basie, Artie Shaw, and others of their notoriety were reflected in schemes of swing. The band days of the 30’s and 40’s in this country hit home with everyone because it provided an outlet to dance by or simply cozy down with your “darling”. Andy Mansfield opened the show by presenting Glenn Gray and the Casa Loma band. This band was a soft blues and swing favorite with the nation. As the episode commences, Mansfield shares the history of the Casa Loma and its beginnings. Casa Loma’s “Stomp” was a perky piece that belted out the solo talents on trumpet, trombone and sax. The piece combined the upbeat rhythm and the cultural significance to produce a lovely Casa Loma entry. The 1920’s gave us Lindbergh and Babe Ruth.The California Ramblers hoofed it up for the jazz culture as people placed both feet to the floor as they beebopped with The Charleston. This was the music that America loved to open up to their homes on the airwaves and forget the details of the world around them. 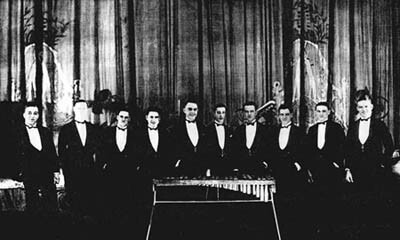 ragtime style music was the haymaker of the time and the California Ramblers knew how to bring it home to the listening audience. The announcer for this program reminded us that the early days of California Ramblers included the Dorsey boys and other notable names. “Five Foot 2, Eyes of Blue” is one of the most memorized tunes for the Charleston style of floor hoofing and this band was the king at reminding us who was to be “our gal”. Andy Mansfield hosted this program and brought to mind the soft tones of the Glenn Miller Band. 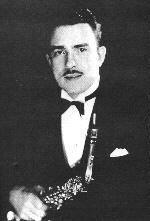 Mr Miller lost his life in a tragic accident over the English Channel during WWII, but his music was not lost. Mr. Mansfield showcased a couple of Miller’s greatest hits including hits from movies Miller made, “Orchestra Wives” and “Sun Valley Serenade”. 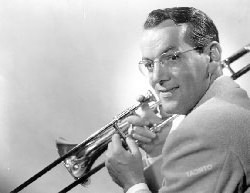 Glenn Miller led his band with flair and pizzazz, all by “batoning” the pieces playing his signature tombone. America’s Popular Music was a radio program that hiot practically every home in America...and caused young and old alike to feel the rhythm and footloose over the floor. The performers may be gone, but not their legacy rich in tune and tone. Be the first to comment on "Americas Popular Music"